The second annual Chimney Swift Sit in Minnesota is just around the corner. We spoke briefly about the event with Ron Windingstad from Audubon Minnesota on the April Podcast. The two designated counting periods are August 6-9 and August 27-30 so the first one is coming up this weekend! The Chimney Swift Sit involves finding chimneys/smokestacks/towers being used by swifts and then counting/estimating the number that go in to roost any night/s during that time period. Sunset the first weekend is right at 8:30pm. Try to be at your site from about 8:20 pm until dark. This will maximize the opportunities to watch and count/estimate the number of swifts. You can download an easy to fill out participation form at the Audubon Minnesota Website or simply click here. to download the participation form. 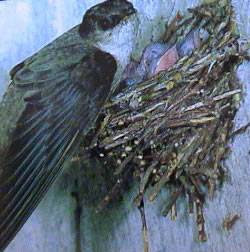 For questions, contact Ron Windingstad Audubon Minnesota 651-739-9332 ext 14.